The Safest and Most Effective Insulation for Australian Floors. Are you sick of your unbearably cold floors? Poorly insulated floors allow your expensive heating to escape in the colder months and leave your home unprotected from unwanted heat gain in summer, costing you a fortune on your energy bills. Reduce heat loss by up to 20% and lower your energy cost by installing polyester underfloor insulation! It’s the safest and most effective insulation material that lasts for the lifetime of your home. An insulation's thermal effectiveness is measured in R value; the higher the R value, the better the insulation. An uninsulated floor rates R 0.7. 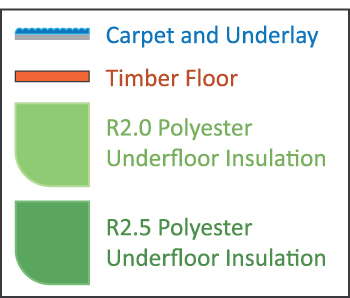 The addition of carpet and a good quality underlay will improve this rating to R 1.0. ecoMaster's polyester underfloor insulation is rated at R 2.5 which achieves an overall rating of R 3.2 (without carpet) or R 3.5 (with carpet). 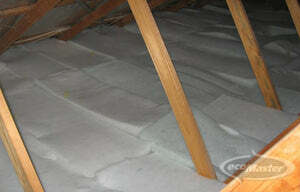 Polyester is the best underfloor insulation material for Australian homes. Make your home cosy from the ground up with the most effective thermal efficiency solution! Regardless of which type of subfloor type you have, we recommend installing this high-quality insulation. Polyester insulation is manufactured with exceptional standards, making it the most effective product for insulating under timber floorboards. Specially manufactured in rolls, this insulation requires fewer joins and is easier to install than ordinary insulation batts. With the robust nature of polyester, it doesn’t lose its shape over time, ensuring long-term comfort. Only polyester's strong, heat-bonded fibers can be secured with staples long term. Shipping is available in the following areas: Melbourne, Geelong, Ballarat, Bendigo, Gippsland, Sydney, Central Coast, Newcastle, South Coast, Wollongong, ACT / Canberra. 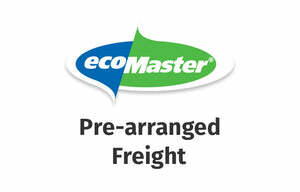 Regional areas can also be supplied with an additional freight charge. Tasmania, South Australia, Perth and Brisbane and Northern Territory cannot be supplied at this time. However, you are free to arrange your own freight or collect it yourself. Learn more about polyester ceiling insulation! In this video, ecoMaster Chief Technical Officer Maurice Beinat talks about the importance of insulating your floors for greater thermal comfort and lower energy cost. Q: What are the dimensions of your Underfloor Insulation? Coverage is 15m2 per PACK. Each ROLL is 11600mm long x 450mm wide x 120mm loft (thickness). 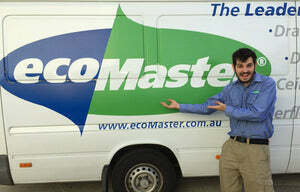 Each ecoMaster PACK is 1300mm x 1300mm x 1300mm and weighs 20kg. ecoMaster Underfloor Insulation is NEVER Vacuum Packed. Q: What is the standard Price per m2 on UFI? A: Approximately $9.27 material (supply) = $139 per pack. Approximately, $45 (installed). Q: How is it installed? A: There is a video on youtube you can watch that shows how it is installed. Basically we staple it in place. Q: What stapler to use? A: We use the Proline stapler and Arrow T50 staples - both available on the webstore. Q: How many staples do I need? A: For best result, choose 10mm galvanised staples, and allow 700-1000 staples per roll of insulation. Q: What staples to use for very hard wood? A: T50 Arrow 10mm - available on our webstore. Q: What clearance do I need under my floor? A: You need a clearance of at least 400mm. 1. Sizing and joist width - Click HERE. 2. Wide or narrow joist: How to make your insulation fit - Click HERE. Q: How much improvement would it make? A: Without underfloor insulation, your floorboards are the same temperature as outside. Because there is nothing to stop the cold / heat. WITH underfloor insulation, your floorboards are the same temperature as inside. Floorboards rating is R0.7. With carpet, the rating would be R1.0. When you add our underfloor insulation to your home, your floor will rate R3.3 with a timber floor, or R3.5 with carpeted floor. Q: Is there a noise reduction benefit on using the Autex products? A: All insulation will have an accoustic benefit due to its density. Although, if you are after an accoustic performing batt, know that the Sound Solution also comes with the highest R rating of R2.5. Q: Does wind affect the quality of the UFI? A: UFI is stapled every 100 -150 mm so it is secured properly beneath the floor. The insulation is a meld of polyester fibres, so the wind can pass through a couple of centimeters. However, it won't pass through the whole product. If your home is extremely draughty, you may also need to seal between the skirting boards and floorboards. Q: What is our fire rating standard and how does it hold up against other products in this standard? A: It complies with all fire rating standards. It is not legal to sell insulation in Australia that will carry a flame. We have a video on our YouTube Channel that shows our Technical Director trying to burn it with a blow torch. Q: Do you have a warranty for this Insulation batts? A: The insulation product (Autex) has a warranty of 50 years. Q: How about for the product installation, do you have a warranty for it? A: As it is a DIY product, we cannot provide an installation warranty, as the installation process is outside of our control. However, if ecoMaster provides installation, we can comfortably guarantee that our installation process will last 10 years provided that there will be no external force applied - just as other trades or the impact of wombats. Are you keen on DIY projects? If you’re planning to take the DIY path of insulating your underfloor, watch this video instruction by ecoMaster’s Chief Technical Officer Maurice Beinat. 4 business days from the time of order. **NOTE: Please do not go into any of these locations without first placing your orders online, and receiving confirmation from us that your order is ready for collection.